Although the cross-over cars are not so favourite in Indian car market scenario, it is gaining a good momentum here slowly. Manufacturers are slowly experimenting by adding cross-overs in their car portfolio. Some of the cross-overs which you could have seen in the Indian market are Toyota Etios Cross and Volkswagen Cross Polo. Now, Tata Motors is all set to introduce a new cross-over by name Tata Tiago Aktiv in India. Tiago hatchback from Tata Motors is showing strong sales since its launch. Even before Tiago’s official launch, Tata Motors has showcased the Zica crossover at Auto Expo 2016. At one of their customisation facilities, Tata Motors in a digital form revealed the Tiago Aktiv in white and brown color shades. Tata Motors is choosing a strategy “Made-to-Order” to sell Tiago Aktiv crossovers. Only if a customer exclusively seeks for the cross-over, the Tiago Aktiv is built. This looks like a cool and safe move by Tata Motors. The new Tiago Cross-over could be priced above 30,000 to 50,000 than the Tiago’s actual price. 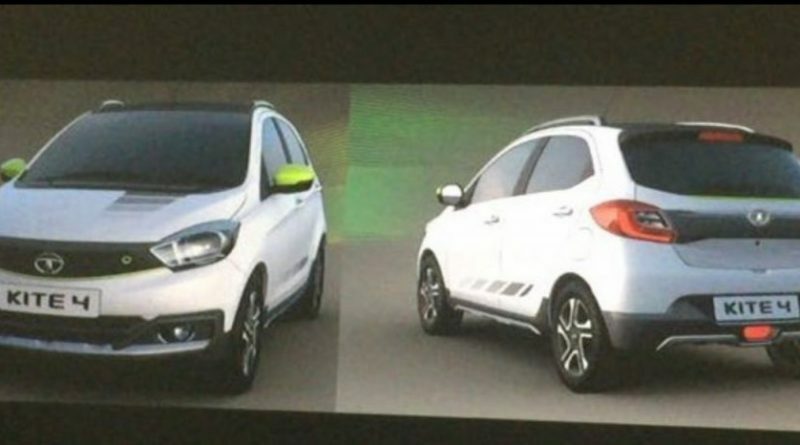 The all new Tiago Aktiv is expected to get 1.2 litre Revotron petrol engine and 1.05 litre Revotorq diesel engine. Excited to see Tiago Aktiv cross-over heading to India? Let us know your thoughts by commenting below.